San Diego’s current Velodrome was built in 1976 and hosts Tuesday night racing from April through September each year, starting @ 6:30 pm. The races attract a great mix of cycling veterans, families and local hipsters. The setting is very intimate, and if you want, you are able to stand right next to the track wall and feel the speed and wind from the racers inches away. The spectating is free and it isn’t uncommon to see people show up with a bottle of wine and a pizza. Often after racing, cyclists come up into the bleachers to join their family and friends in the crowd and partake in the picnicking. 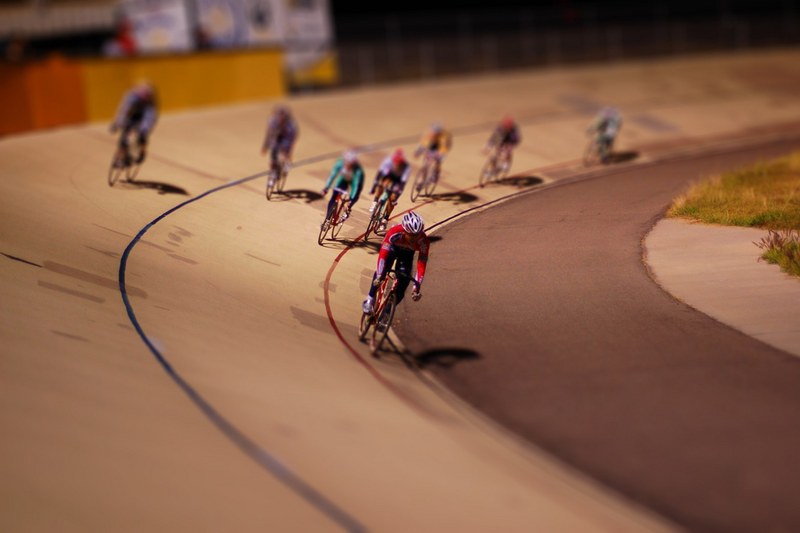 Located in Morley Field, the Velodrome is an easy cab, bus, or bike ride away from the conference hotel. This entry was posted in Attractions, Events and tagged cycling, exercise. Bookmark the permalink.